The deadly disease of addiction is prevalent in our society, with untold suffering in grief, lost productivity, health care costs, various family burdens and crime. On January 9, 2017, in New Jersey, legislation was signed into law, designating one night as a “Night of Conversation” to encourage conversation and public discourse about drugs and alcohol addiction. The “Night of Conversation” law is designed to encourage government, the private sector, the education system, religious communities and the media to designate communication resources regarding drug and alcohol addiction to ignite prevention efforts and reduce the harm of addiction. Somerset County YMCA, Hillsborough Township School District, Empower Somerset, the Safe Communities Coalition of Somerset County, Hillsborough Municipal Alliance, and Hillsborough Youth Services Commission are partnering to host a “Night of Conversation” on November 14, 2018 to encourage parents to talk to their children about alcohol and drug addiction. An empty dinner plate will serve as a universal symbol for eternal recognition of the “Night of Conversation”. The empty dinner plate will symbolize that, on this night, the conversation is more important than the food. 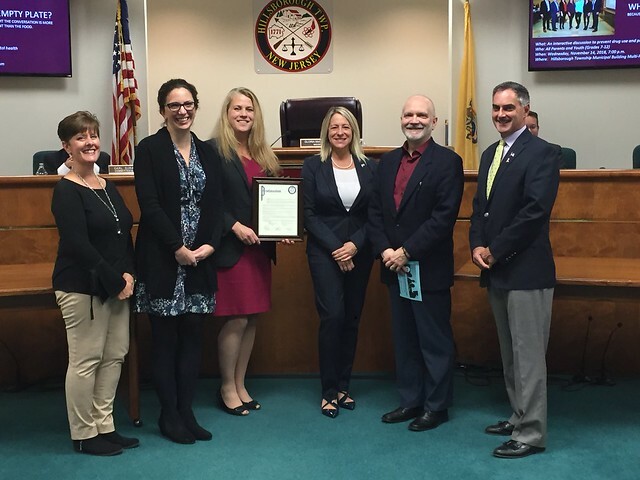 The Township Committee supports November 14, 2018 as the “Night of Conversation”, and encourages the citizens of Hillsborough Township to participate in drug prevention activities and programs.